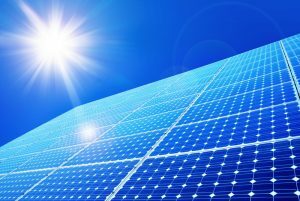 What Can Solar Panels Power? In our previous post, we talked about some reasons why you may want to install solar panels on your property. As a quick refresher, we will once again just reiterate the fact that solar energy allows you to make your home a much more environmentally-friendly place to live. It helps you to use sustainable energy that you can rely on while drastically cutting back on your energy costs. It can also increase your property value, all while you enjoy rebates on select equipment to help cut initial costs. As we mentioned last time, you must also keep in mind the fact that solar panels must be professionally installed and serviced. The technology is easy to use once it’s in place. In fact, you won’t even really think about it all that often. However, the actual installation of this equipment, along with the system design, can be quite complex. Scheduling your solar panel installation in Fresno, CA with us ensures not only that your panels are installed right, but that you’ll have the energy that you need to power everything that you’re planning on. Posted in Solar | Comments Off on What Can Solar Panels Power? Can I Use Solar Power to Heat Water in My Home? Yes, absolutely! And considering the amount of sunshine we enjoy in this part of the country, doing so actually makes a lot of sense. Just remember that solar technology is pretty complex stuff, and you really need to know for certain that qualified individuals are handling your solar energy services. If you think that using a solar water heater in Clovis, CA is right for you, be sure to give us a call. The technicians on our staff will have you heating water reliably and effectively with an incredibly efficient, renewable resource before you know it! Posted in Water Heaters | Comments Off on Can I Use Solar Power to Heat Water in My Home?